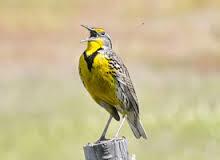 Meadowlarks – They are most common in native grasslands and prairies and other grassy areas like temperate grasslands. The eastern meadowlarks will breed in mostly any class of grassland as long as it has enough space to mark terroritory (6 acres). Meadowlarks are vegetarians they eat grain and weed and sometimes in harsh winters they eat road kill per say. These birds eat seeds. animal has also adapted to pouch like cheeks which he can use to store food in. Prairie dogs mainly eat grass. Bison – This animal’s habitat is in grasslands. 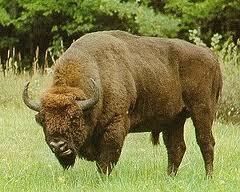 A bison has flat top teeth and a digestive system adapted to eat grass. 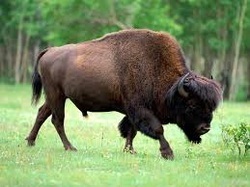 Basically a bison eats grass and feeds on basically anything it has adapted to eat anything available. Coyote – This animal lives in North America from Alaska to Mexico. 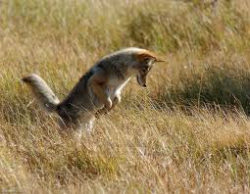 A coyote has adapted to running at an amazing speed to escape predators. Coyote eat small bird, prairie dogs and many smaller animal. amazing animals can eat herbs, grass, and shrubbery. 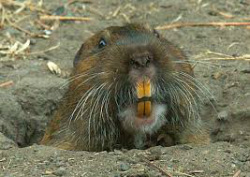 Gophers – Live in tunnels underground and you probably would only found one in a tunnel system. A gopher’s adaptation would be its front legs and teeth. 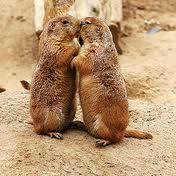 Gophers are vegetarians they feed on shrubs, trees, grass, plant, and roots. 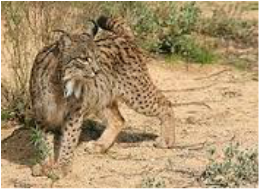 Lynx – a Lynx eats the carcass of a dead animal, and lipoids. Lynx have adapted a skill to catching their prey. 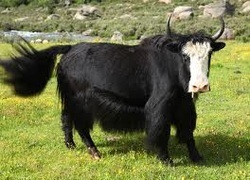 They live in the steppes of Asia steppes are found in temperate grasslands along with prairies. Antelope – Live in savannas and temperate grassland. 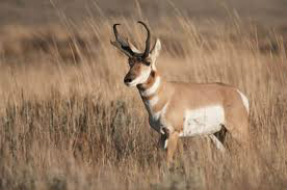 Antelope eat long grass, and plants that grown in temperate grassland. Antelope have eyes slightly to the side of their heads which serve as an advantage for a better view. This physical adaptation makes sure they can watch for predators. They have strong back legs when they need to reach leaves high in the few trees in the temperate grassland. Grasshopper- Live in the grass and are herbivores. Grasshoppers have long hind leg that is used to jump and escape or avoid predators. Aardvarks -Aardvarks are found in sub-Saharan Africa. 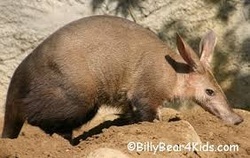 Aardvarks live in underground burrows. Their diet includes ants , termites , wild cucumber, plants and other insects.Their adaptations are they curl into a ball formation and they have leathery skin. live in open woodland areas. Their diet includes seeds, nuts, fruits , buds , leaves, and tall grass. 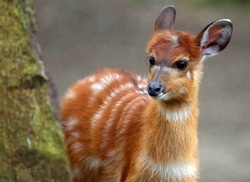 Antelope adaptations include its golden coat which helps it blend into the tall grass. 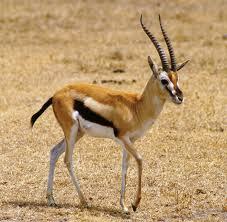 Another adaptation is the antelope's long legs which let it run smoothly to escape predators. Baboons- Baboons are found in Africa and Asia . 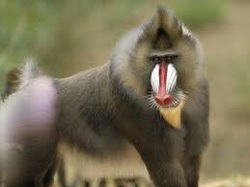 Baboons live in tall trees or cliff faces. Their diet includes grass , berries , pods , fish , hares , birds , and shellfish. large quantity of fur around their neck that keeps them warm. adaptations are their broad flat-topped teeth and a digestive system that is adapted to feed on grass. to store fat which helps it go without food for a long period of time. It also has thick leathery pads on its knees to prevent it from getting burned or hurt. and Western Asia , and Northern Africa. 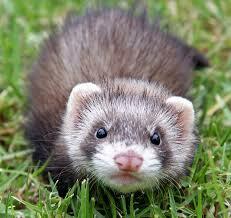 Ferrets live in underground tunnels and burrows. 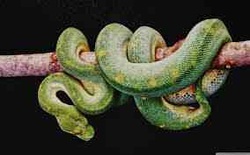 Their diet includes mice , rats , birds , reptiles , and amphibians. their adaptations are their slender bodies for getting into burrows. live in dry open areas. Their diet includes insects , worms , snails , flowers , fruits , and berries. 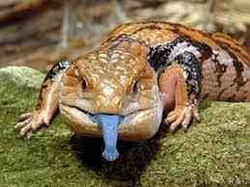 It's adaptations are its blue tongue that frightens its predators. 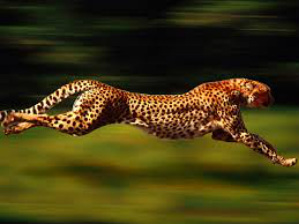 Cheetah- Cheetahs are found in most of Africa and parts of the Middle East. They live in open flat plains. 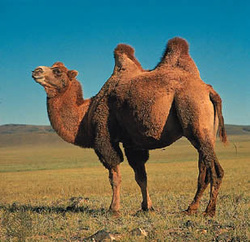 Their diet includes gazelles , impalas , and medium-sized antelopes. Their adaptations are the spots on its fur that serve as camouflage when it hunts its prey and its very flexible spine that allows it to turn quickly and lengthen its stride. 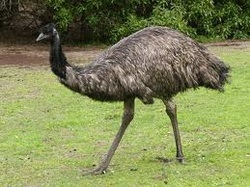 Emu- Emus are found in Australia. Emus live in open plains. Its diet includes flowers , fruits , seeds , and large insects. Its adaptations are its three toes which is more efficient for running.